The menace of drugs has been dogging our society for decades on end now. On one hand, authorities and police are trying to curtail the problem with an iron hand, on the other hand, healthcare institutes and pharmaceutical companies are pulling out all stops to cure addiction. This has spawned the addiction treatments market which has expanded incrementally over the years. Treatments can happen in different settings and can entail both medication and behavioral therapies. Depending upon the severity of the situation, lengths of treatment can vary. Since, drug addiction is mostly a chronic disorder characterized by occasional relapses, one treatment is usually not enough. It is usually lengthy requiring multiple interventions and time-to-time monitoring. Some of the common medicines used in treatment of drugs are methadone, buprenorphine, and naltrexone, which are administered to those addicted to opioids. Nicotine preparations in the form of patches, lozenges, gum, and nasal spray and the medications varenicline and bupropion are meant to treat tobacco addiction. Besides, behavioral therapies are leveraged to help addicts cope with drug cravings and thwart a relapse. The U.S. is one of the main addiction treatments market on account of a sizeable proportion of addicts. However, the market might receive a major setback if the new government manages to pass the bill repealing the Affordable Care Act that provides substantial coverage for drug addiction treatment. This would likely affect nearly 1.3 million people having mental-health and substance abuse disorders as per estimates. The approach for addiction treatment program varies from person to person. The objective of the treatment program is to help patients maintain abstinence from addictive substances and attain effective functioning in both personal and professional life. The treatment programs recommended may be residential or outpatient depending on the severity of the addiction, type of substance, and patient behavior. Hence, the addiction treatment programs include counseling (psychotherapy), outpatient and inpatient programs, and self-help groups. Outpatient behavioral treatments comprise multidimensional family therapies, cognitive behavioral therapies, and motivational interviewing; while residential treatment programs include staying at a rehabilitation center for a period of about six to twelve months. The report is a valuable tool for understanding the developments of the global addiction treatments market during the forecast period. 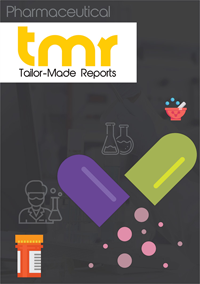 The report presents a comprehensive analysis of market drivers, market challenges, and opportunities that will impact the progression of the global addiction treatments market for the 2017-2025 period. In this report, market segments and growth indicators are analyzed for historic years based on which projections are made for the forecast period. The report also presents the growth roadmap of leading companies in the market that will lead to changes in the competitive hierarchy. The global addiction treatments market is segmented on the basis of treatment approach and geography. By treatment approach, medication and therapy are the components of this market. On the basis of geography, North America, Europe, Asia Pacific, and Rest of the World are components of this market. The U.S. Food and Drug Administration (FDA) has approved naltrexone, acamprosate, and disulfiram for treating alcohol dependence. Topiramate is a drug that is displaying encouraging results in clinical trials for treating alcohol dependence. Some of the formulations for treating nicotine dependence include chewing gums, lozenges, patches, and spray. Also, the FDA has approved two prescription medications for treating nicotine dependence, namely bupropion and varenicline. The increased use of addictive substances such as alcohol, tobacco, and drugs along with increased marketing initiatives to raise awareness about the detrimental effects of drug addiction is driving the global addiction treatments market. On the other hand, factors such as unwillingness to opt for rehabilitation programs and lack of mental and physical stability of patients during the treatment programs is challenging the growth of this market. The report outlines the competitive scenario of the global addiction treatments market with a detailed business profile of the major companies operating in the market. GlaxoSmithKline plc, Reckitt Benckiser plc, Pfizer Inc., and Orasure Technologies are some of the major companies that operate in this market.